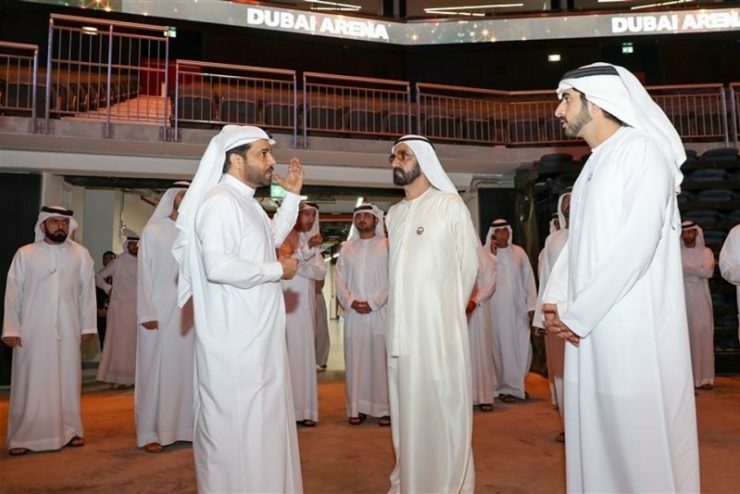 According to *Constructionweekonline news report, HH Sheikh Mohammed bin Rashid Al Maktoum, Vice President and Prime Minister of the UAE, and Ruler of Dubai, visited the popular Dubai Arena hospitality and leisure project in the city on 1 April, 2019, accompanied by HH Sheikh Hamdan bin Mohammed bin Rashid Al Maktoum, Crown Prince of Dubai and Chairman of The Executive Council. Also visiting Dubai Arena with Sheikh Mohammed were HH Sheikh Maktoum bin Mohammed bin Rashid Al Maktoum, Deputy Ruler of Dubai; and HH Sheikh Ahmed bin Saeed Al Maktoum, Chairman of Dubai Civil Aviation Authority and Chairman and Chief Executive of Emirates Airline and Group. During his visit, Sheikh Mohammed was briefed on the active-lit façade of Dubai Arena, which is capable of hosting end-stage, central, and half-stage concerts; sporting events; gala dinners; exhibitions; conferences; and festivals, all for a crowd of 17,000. Dubai Arena’s “day-to-day” operations are being handled by venue management firm AEG Ogden, which is part of Anschutz Entertainment Group. 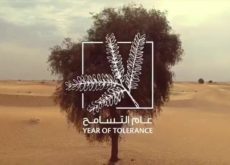 The latter is a subsidiary of Anschutz Co, which according to a report by Dubai Media Office “owns, controls, or is affiliated with” 150 global event facilities. Event hubs such as The O2 in London, Staples Centre in Los Angeles, Mercedes-Benz Arena in Shanghai, and Qudos Bank Arena in Sydney are all part of the company’s portfolio. Commenting during his visit, Sheikh Mohammed said that the government places a high priority on infrastructure projects, which will be the key pillars of the UAE’s development plans. 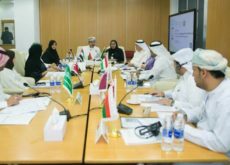 According to Dubai Media Office’s report, the Dubai Ruler “underlined the significant role of both semi-government and private sectors in developing infrastructure projects that meet the highest global standards”. 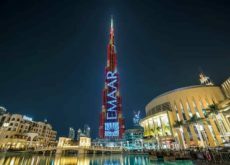 Dubai Arena is expected to buoy spending in the UAE’s travel and tourism sector, which according to a report by Dubai Chamber of Commerce and Industry, is expected to be worth $56bn by 2022. Under development as the largest indoor arena in the Mena region, Dubai Arena is set to boost the UAE emirate’s role as a tourism centre, and its development is in line with the objectives outlined by the Dubai Tourism Vision 2020 and the Dubai Tourism Strategy programmes.